Reporter Saul Sugarman, writing in the San Francisco Daily Journal, said that some committee members wondered why consumer alerts only appear on pages of attorneys while formal charges are pending. In the current system, the alerts go away once lawyers are found culpable of misdeeds, though the details of discipline still appear at the base of their profiles. Different states have different requirements as to what an attorney can and can’t do before, during or after a disciplinary proceeding. The concept of a red warning label simply because an attorney is facing a charge does not seem to be reasonable. Maybe it is because I see what I personally consider unfair outcomes in some of these matters, while more flagrant transgressions often go unaddressed. This is certainly not a blanket concern. The majority of disciplinary counsel come to the proper conclusions. Yet, I still see some serious head scratchers, especially in my area of focus–advertising, marketing and solicitation regulations. 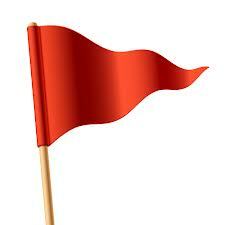 Attorneys–defense or otherwise–are right in that a red warning on a website profile is a death knell of sorts. Who is going to use an attorney with a red flag right on their own website bio? Nobody. You’d likely look to minimize your existence online until the matter was resolved. And even then, state bar listings and attorney profile sites on some high profile legal directories might also show the pending discipline. While the overarching concept of “deceptive and misleading” is my mantra in looking at law firm website marketing from an ethics perspective, I also believe in certain components of “real world” promotion. A discerning consumer will look beyond the glossy, polished profile the attorney writes for him or herself and seek comments from more objective sites. A plumber’s website does not say anything about the dozens of BBB files opened up. I guess you go to Angie’s List, or in this case, the state bar. I can’t imagine that the plaintiffs’ bar will sit back and see this proposal come to fruition. There could be room for a compromise in putting this data into the “disclaimer” component of a website, where a little additional due diligence by the end user is required. Placement on the biography itself would be quite the hardship. This is a conversation worth watching.